This Vanilla Bean Glazed Carrots recipe is the perfect balance of savory and sweet. This recipe is in heavy rotation at my house all winter long. Sure, you can get carrots all year long but winter is when they’re meant to be eaten. The colder weather encourages the starches to turn to sugar, making them even yummier. These Vanilla Bean Glazed Carrots recipe is the best carrot recipe you will ever try. I’d say more about it but that’s really all you need to know. You can also use different colors of carrots, which makes for a pretty presentation. Since carrots were originally purple (the orange ones we know now are thought to be the result of a long-ago genetic mutation), I buy those when I can find them. Then, I tell the kiddo that we’re having a purple-carrot-throwback-night in honor of Prince. This gets her excited about vegetables and provides me with a reason to play the “Sign ‘o The Times” album all evening. Total win on both fronts. Look for vanilla bean paste in gourmet food stores & premium grocers. I often use it in recipes as a substitute for vanilla beans or vanilla extract. It’s easy to store and has a great depth of flavor. 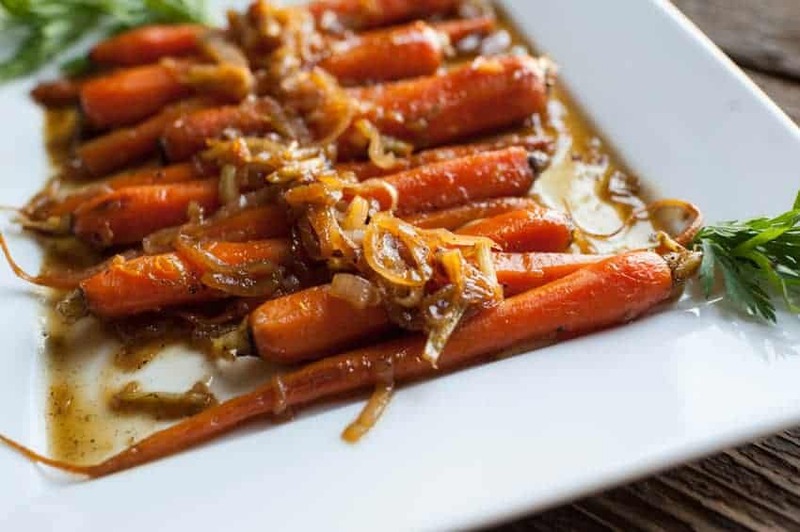 This entry was posted in Recipes, Side Dishes and tagged carrots, dairy free, G-Free Foodie, gluten free, gluten free dairy free, kc cornwell, paleo, paleo friendly, simple side dish, vanilla bean glaze, vanilla bean glazed carrots. Bookmark the permalink.